Having a vehicle at your disposal is pivotal, especially if you live in a big city like Milwaukee. That being said, buying a decent car can be difficult if you don’t have good credit. Getting auto loans for bad credit in Milwaukee may be challenging, but with the right help, you can find car loans that suit your needs, even if you have bad or no credit at all. By partnering with the leading car loan and auto products providers, we can help you get the vehicle of your choice through our application tool, even if your credit is less than stellar. Taking out a car loan can help you achieve your goals, but you should always invest time and energy into finding the best match and learning everything you can about the loan terms before you sign up. This includes employing resources such as CompleteAutoLoans.com in order to find car loan providers for low credit scores. Our main goal is to connect people with low credit scores to dealers and lenders who are known to provide bad credit auto loans. Not only this, but we also aim to help you improve your credit score and your overall finances, so we don’t charge any fees. You can use our auto loan tool to help you find the best lenders at no additional cost, so you won’t have to worry about any hidden fees. There are many elements that will influence your purchase, but the overall loan amount and the interest rates you receive should be at the top of the list. The total loan amount is the price of the loan plus interest and any additional fees, so always keep this in mind when shopping for a lender. Interest rates vary depending on each person’s credit score and earnings, among other details. Keep in mind that persons with low credit scores tend to have higher interest rates. At the same time, interests are often higher on used vehicles, although these have an overall lower price tag. Improving your credit takes time and effort, but increasing your rating can help you save money and get better loans in the long run. There are different steps you can take in order to improve your credit, but the most effective way is to pay all of your bills and recurring payments on time and in full. If you don’t have time to work on your credit and need a car urgently, you can always take out a car loan and refinance it after a certain amount of consecutive payments, if the lender allows it. Most Dealerships in Milwaukee will let you refinance your vehicle after six consecutive payments, so you can lower your costs even after accepting the loan. Milwaukee is known as the Brew City, but there is a lot more to see than just breweries! This vibrant metropolis is home to more than 600,000 people and is one of the oldest cities in the Country. 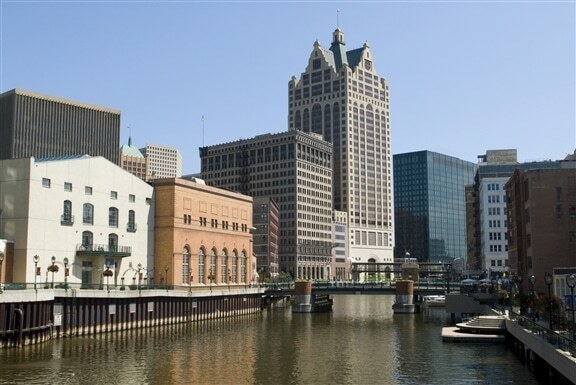 Milwaukee borders with Lake Michigan and has warm, humid summers and cold, snowy winters. Moreover, it’s home to four professional sports team and a popular tourist destination due to its historic status. There are hundreds of thousands of used cars on the market and many of them are in pristine condition. If you put in the time, you certainly find the ideal vehicle that matches your lifestyle and budget at the same time. If you are looking for an auto loan, but your credit is less than stellar, get in touch with CompleteAutoLoans.com. Our platform is designed to help you find dealers that specialize in providing loans to consumers in your credit range. Check out our auto loans tool to get a loan, or learn how it all works by checking out our resources page!